No matter what type of coin you are looking to sell, we will offer great consulting. And in order for you to know what we are talking about, we have compiled definitions of the most important types of coins and medals on our website. A bullion coin is a coin which is made of precious metal and dealt at the value of the precious metal. It does bare a face value warranted by the issuing institution. The only exception is the Krugerrand. Its face value is calculated every day by the South African Reserve Bank on the basis of the gold rate. 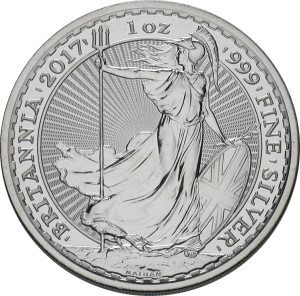 Important bullion coins are: Britannia (Great Britain), Maple Leaf (Canada), Philharmoniker (Austria). 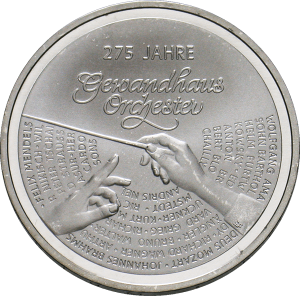 A commemorative coin is a coin which is issued on a special occasion and illustrates this occasion in its design, inscription and / or material. Traditional commemorative coins can circulate as circulation money as they bear a face value and are guaranteed for by a central bank or ministry of finance. But please note: not all commemorative coins can still circulate today. There is a distinction between “legal tender” and “circulating legal tender”. While “legal tender” should be accepted by banks and retailers, they do not accept “circulating legal tender”. 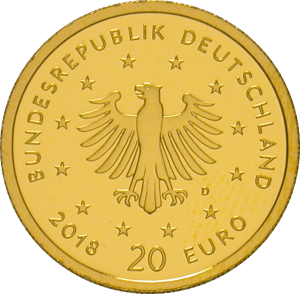 All German commemorative coins are considered legal tender and can be used as such, but only in Germany (s. collectors’ coin). Even though it is just as round as a coin, medals are not coins and they have never been legal tender. 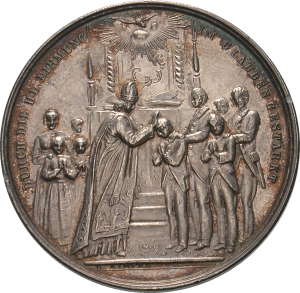 Unlike coins, they do not bear a face value as a guarantee because private individuals can produce medals, too. Nevertheless, medals do have a commercial value. It is calculated according to the appeal of the theme, the artistic design, the rarity, and its value of material. The German word “Sammlermünze” is a new creation by the Deutsche Bundesbank, which became necessary after the introduction of the euro as common currency in 2002. Unlike the traditional commemorative coin, the collector coin has a limited circulation area. It must not circulate in all eurozone countries but is legal tender only in Germany. 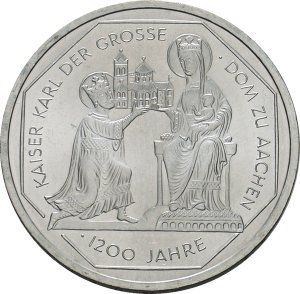 Examples of typical German collector coins are: the golden 100 €-coin depicting motifs of the German UNESCO World Heritage cultural site or the silver resp. cupro-nickel 20 €-coin. The term “circulating commemorative coin” is young. 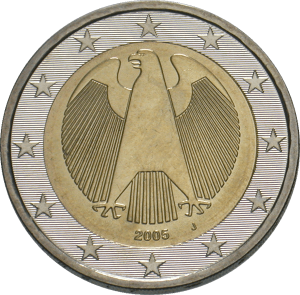 It developed after the introduction of the euro in 2002. The term denotes all coins which differ from regular circulation coins in terms of their motifs and inscription but can nevertheless be put in circulation. The most widely known circulating commemorative coins are: the special-issue 2 € coins issued by members of the European Monetary Union or the American quarters ( = 25 cents) with special motifs. A circulation coin is that money you hear jingling in your wallet. Circulation coins are minted to facilitate monetary transactions. Up until the 1960s, practically all coins were struck to be put in circulation. Coins will take you to far-away worlds. Coins will bring history closer to you. Coin collection connects: Coin collectors meet in clubs and on the internet. As a coin collector, you carry on an age-old tradition.